We feel truly honored with the opportunity to help people with a variety of health challenges and goals. Will you let us help you? Dubuque Chiropractor Dr. Jeff Stackis offers his patients the best in wellness optimization, with a particular emphasis on the benefits of strong posture as an essential ingredient in an active lifestyle. 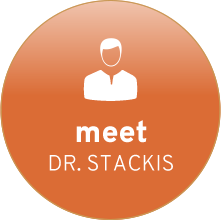 At Stackis Chiropractic, his caring guidance and customized approach have earned him the loyalty of many families over the last two decades, from newborns and children to parents and dynamic seniors. 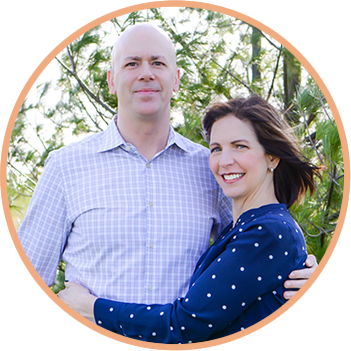 Our chiropractic office has been described as homey, heart-centered, fun and energetic. We feature adjustment techniques that are gentle enough to help a newborn thrive, or assist a senior in staying vital and active. We also take the time to listen. Our goal is to help you reach your goal as quickly as possible as we adjust you back to life. You’ll find that our research-based protocols are consistent and reliable, and it’s our promise to you to always focus on exceeding your expectations of help and hope. One of the ways Dr. Jeff and Linda are helping patients is through Strong Posture training. They are both currently studying to become a Certified Posture Exercise Professional (CPEP). Through specific posture exercises, they are able to help patients achieve and maintain a pain-free, active lifestyle. Dr. Jeff also provides pain relief and more through a variety of treatment approaches. 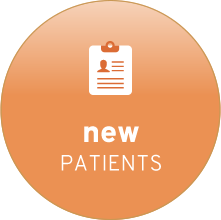 Patients have a choice of receiving skillful manual adjusting, or state-of-the-art, instrument-based care through the Activator V.
The experienced care at our convenient location is supportive and patient-focused. If you’ve been searching for a chiropractor near us, look no further. We’re confident that you’ll find our caring environment the ideal place to begin your healing journey. 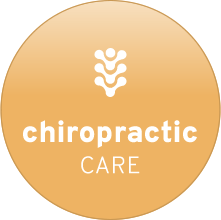 Contact us today for a free consultation with our Chiropractor Dubuque. We’re an in-network provider with many insurance plans and also accept Medicare. Same-day appointments are available for your convenience and Saturday appointments are offered from 9:30 a.m. to 10:30 a.m. by appointment. Thanks to you I am now going down a better and healthier road. I called as a new patient and was seen within 2 hours. The staff is very friendly and gives you a feeling of comfort! I felt such at ease with both Jeff and Linda. I’ve always been a bit anxious about receiving chiropractic care, but no longer. Immediate relief and I’m looking forward to the next visit! First treatment was different than what I have experienced with other Chiropractor’s. I can feel the difference, in a good way. I think I’m even standing up straight. Very very happy with my first visit! Dr. Stackis helped me understand the whys of my pain and I’m very hopeful he will have my body feeling great again! Thanks – was glad for the relief that you were able to give me! Dr. Stackis and his receptionist Linda are awesome! They both make me feel very comfortable. I highly recommend Stackis Chiropractic! Best pain relief I have felt in a long time! Thank you very much for your help. My husband was in a very bad way. Now we can continue back to Florida after hurricane Irma. I appreciate how quickly you got me in for my initial appointment and how you have the open adjusting hours! So convenient! I have seen other chiropractors in the past and have never had such immediate relief as I had from Dr. Stackis! Very friendly, personable, and helpful! Excellent staff who really cares about you and the issues you’re having. I would refer this office to anyone.